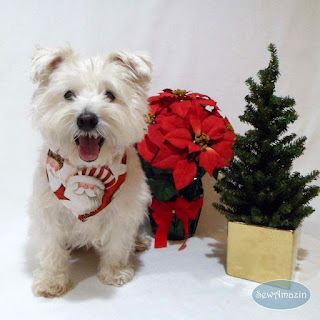 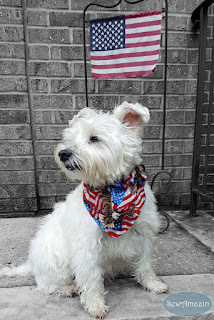 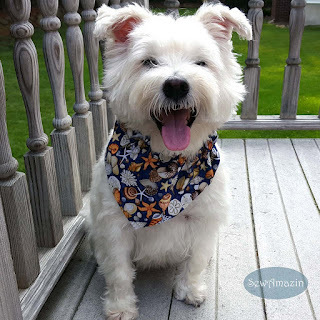 In addition to Westies and terriers, I like to collect fabrics with doggie themes like paw prints and dog bones. 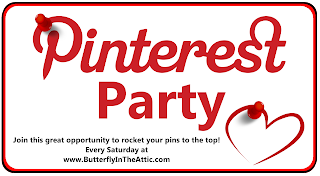 Sometimes I know exactly what project the fabric will be used to create and other times the fabric will remain part of my stash, waiting for the perfect project. 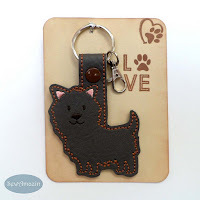 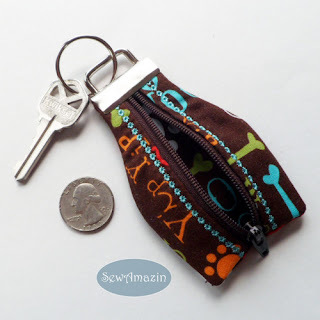 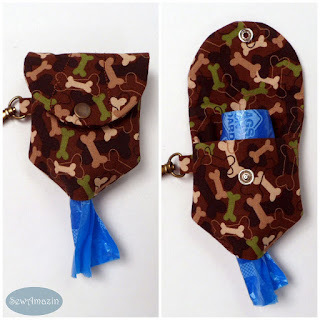 These accessories for dog lovers are currently available and ready to ship at SewAmazin on Etsy. 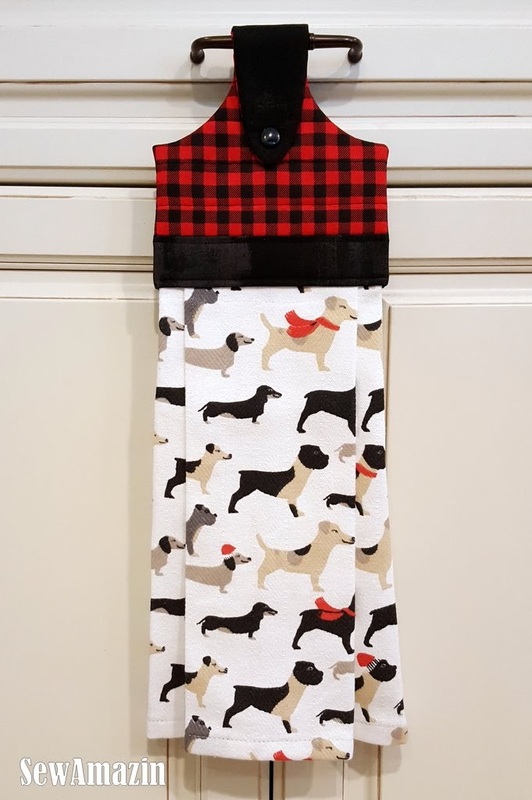 Little brown dogs dressed as reindeer, Santa Claus, Christmas elves and ribbon-wrapped gifts or smiling happy dogs in beige, gray and black wearing red scarves or winter hats are printed on designer Cynthia Rowley cotton tea towels. 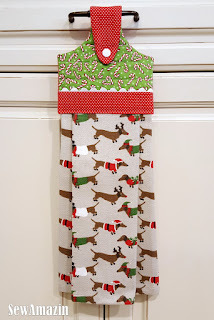 The quilted toppers are made of cotton quilting fabrics in festive holiday prints. 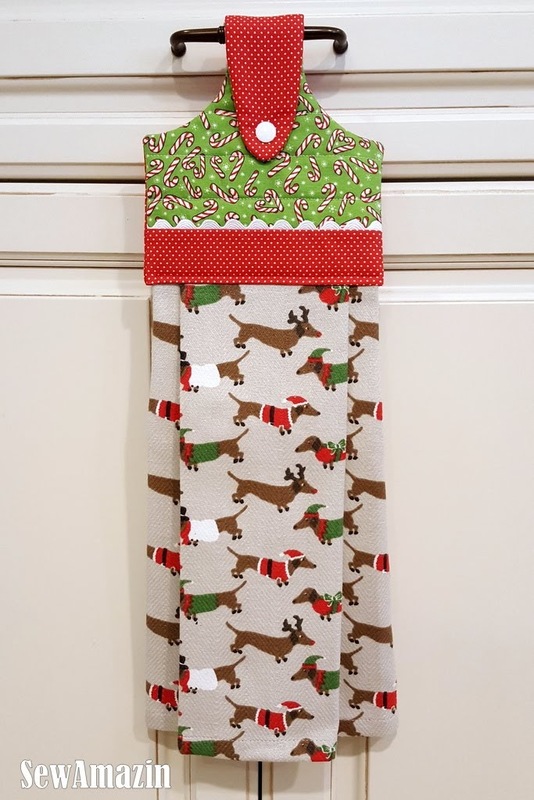 Either set is a delightful kitchen decoration or housewarming gift for the holidays! 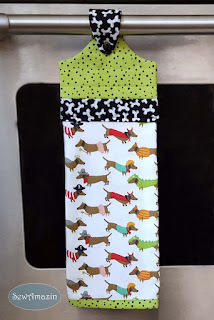 Little brown weiner dogs dressed as pirates, angels, devils, cowboys, lizards, pumpkins and more are printed on the 100% cotton tea towels. 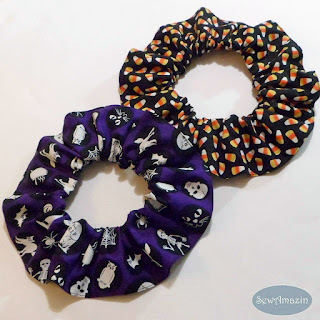 The quilted topper is made of cotton quilting fabrics in two color choices: Green/Bones or Orange/Boo. 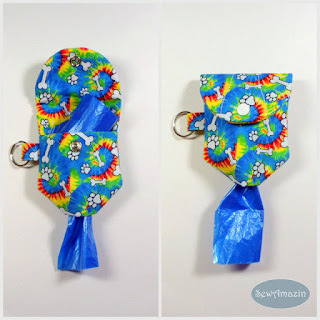 A snap closure lets you hang it from your oven door or cabinet pull. 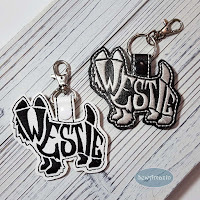 The Green/Bones version is sold out October 2018. 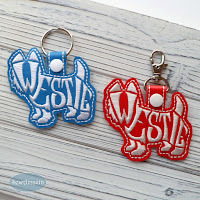 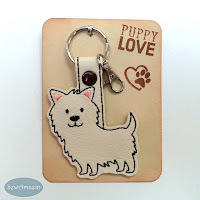 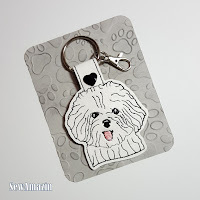 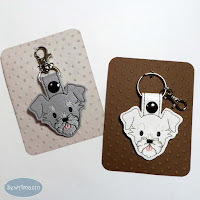 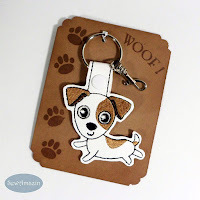 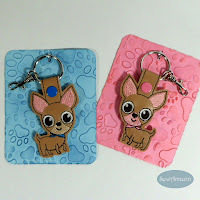 Dog lovers and terrier fans will love these adorable key fobs! 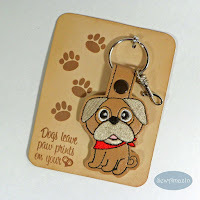 Made of vinyl and secured with a snap, includes a split key ring and optional swivel lobster clasp so you can attach them to your key ring or purse. 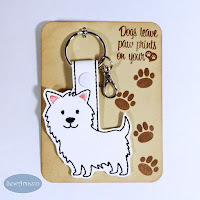 Ready to gift, mounted on a hand stamped card! 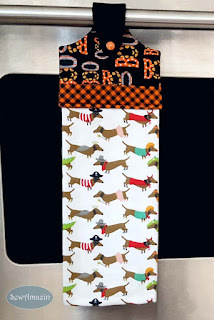 This fabric print has various canine phrases in bright, cheerful colors, organized subway graffiti-style on a chocolate brown background. 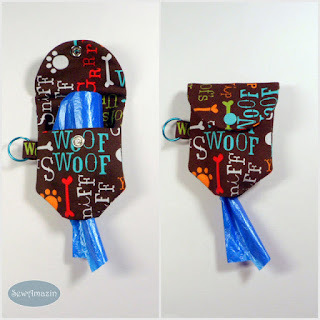 Some of the phrases include Woof's Up in green, Woof Woof in aqua blue, Grrrr in red, Sniff Sniff in white, Yip Yip in orange. 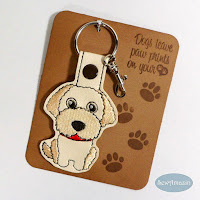 A few bones and paw prints in the same colors are scattered throughout the pattern. This camouflage design is made entirely of doggie bones in ecru, tan, dark brown and green, scattered all over a chocolate brown background. 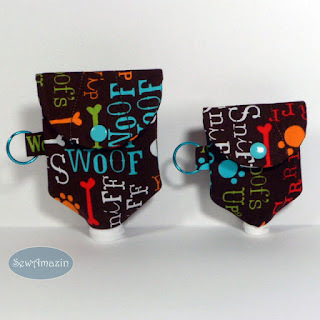 These groovy accessories are made of cotton fabric and padded with polyester batting. 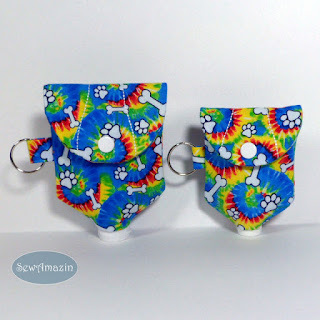 The tie dye print has brightly colored spirals in blue, red, yellow and green, accented with white doggie bones and paw prints. 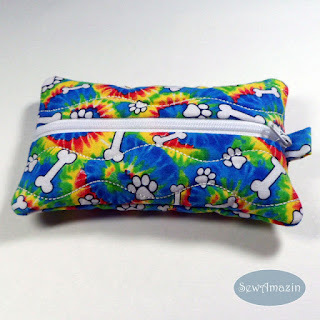 Pocket Tissue Case: Keep your travel tissue packs, packaged hand wipes or other personal items clean and tidy in this zippered case. 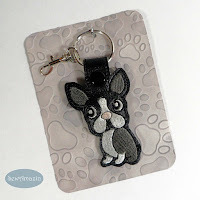 These items were made using in-the-hoop embroidery designs created by Embroidery Garden. 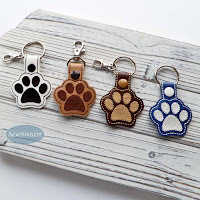 I donate a portion of the sales price of each dog lover's accessory to our local no-kill shelter; part of the sales price of each coffee cup cozy is donated to our local food bank.